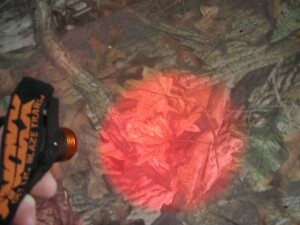 The Noxx Xplorer Headlamp Red LED is a great scanning light for predator hunting and calling wildlife at night. The Noxx Xplorer features a sliding adjustable aspherical lens, which enables the headlamp to adjust from a wide flood light to a tight spot beam. 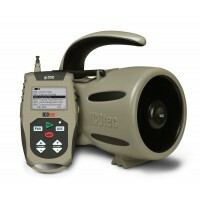 Used on the wide flood setting the Noxx Xplorer is a great light for scanning for approaching eyes in thick woods and can be adjusted to more of a spotlight beam for scanning more open areas like fields or pastures. The Noxx Xplorer red LED headlight has 3 modes (High, Low and Strobe) and can be adjusted from a wide flood light down to a powerful spotlight beam or anywhere in between in both high and low settings. This feature gives this red LED headlamp a broad range of settings depending on your illumination needs and the surroundings of your calling setup. 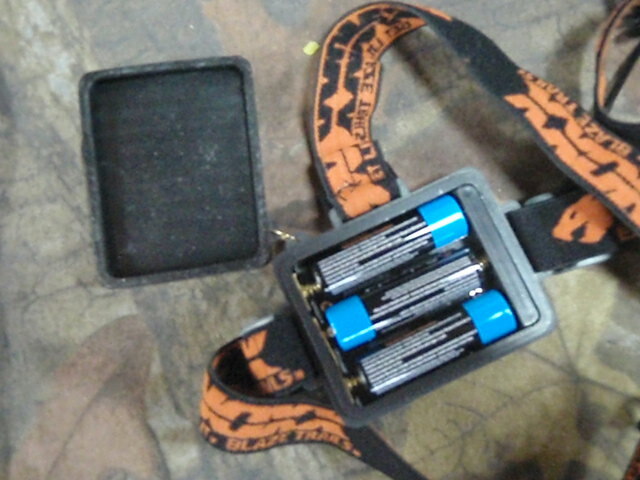 It operates on 3 AA batteries which eliminates the need for buying and charging special batteries. Noxx recommends using high quality AA batteries for best performance. 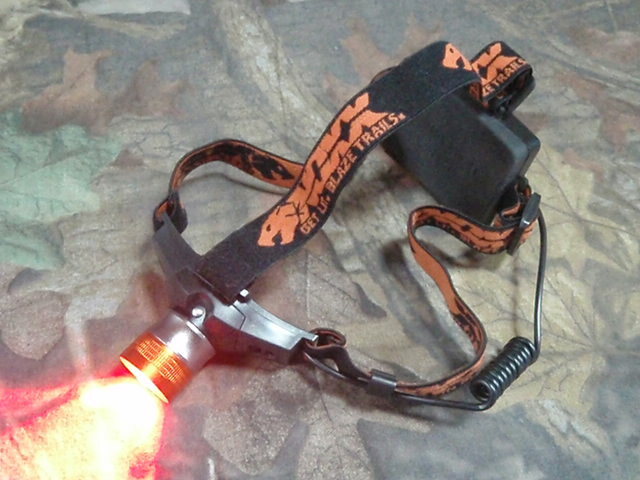 This red LED headlamp is one of my favorite predator hunting lights. The 5 Watt Red Cree LED provides a lot of red light and the headlamp’s adjustability makes it great for any night calling situation. In addition to being a great light for predator hunters, this light is perfect for birders that hunt owls after dark. I have seen on the predator hunting message boards that some Noxx Xplorer owners do not like the rings at the outer edge of the halo. The halo rings are produced by the rings molded into the lens shroud, but I don’t think this is a problem at all. If anything, I think the rings help to “camouflage” the user from any approaching critters. The Noxx Xplorer Red LED Headlamp retails for $49.99 and is available from the manufacturer’s website and a few other online retailers. 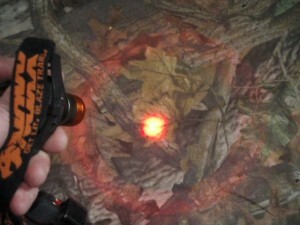 In my opinion, the Noxx Xplorer Red LED is the best predator hunting headlamp on the market for scanning. Its way better and brighter than putting a colored lens cover over the $20 eBay headlamp.